Since its inception in the early 1900s, (1920, to be precise) The Victor Company of Japan, Ltd. has proved to be a technical force to be reckoned with. Sophisticated designing meets original thought in their work, as the enterprise strives to achieve constant excellence. JVC offers a range of electronic products that is reeling in its sheer diversity; from the homely camcorder to the luxury car-audio to portable audio-devices to the grandiose home-theatre, JVC does it all. And does it with panache! Providing clinical precision with their sound and image delivery, JVC has carved out a niche in a truly competitive market over the past century. It is a technological maverick with a unique artistic flair. JVC’s headphones have a reputation for quality and elegant build. They provide almost irrefutable clarity with a defined soundstage that attends even to the most minute details. 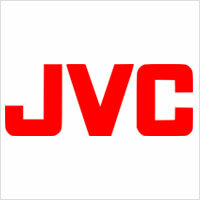 Founded in 1920 as a subsidiary to “The Victor Talking Machine Company of Japan, Limited”, JVC has, over the years, delivered pioneering work in its field. Ranging from manufacturing Japan’s first locally-made television set in 1953, to coming up with the first VCR to use VHS in 1976, to a revolutionary line of cassette decks with unforeseen levels of stability in 1981, Victor Entertainment has pushed boundaries to offer ground-breaking work to the world across the decades. However, the company has seen ups and downs in its almost a century long career, with its analogue and digital genius failing to meet commercial standards from time to time. The VHD disc system from 1979 failed to live up-to the competition from Sony and Philips and died out shortly into the 80-s. The HC-95, a personalised computer from JVC, also met a similar fate in 1986 when sales were disappointing. The portable audio devices that made a brief appearance in the 80-s also saw the exit after JVC was unable to strategise its marketing policies. Overall, the 80-s was not a happy time for the company. The turn of the century saw a turn of events, however. JVC was felicitated with the prestigious Emmy in October, 2001 for “outstanding achievement in technological advancement” for “Pioneering Development of Consumer Camcorders”. Today, the enterprise boasts of companies in Asia, America, Europe and Australia with products built with explicit detail and meticulous care to tend to individual customer demands. JVC has been in the market long enough to understand its clientèle, and has understood it well. JVC caters to a plethora of clients; from the young audiophile recently indoctrinated to the world of music, to the hardened DJ serious about every note. Soundstage is immersive, and the headphones offer a dynamic range of sound to the listener. The headphones from Victor Entertainment are sleek and compact, with an elegant design. They also fold upon themselves, arguably increasing portability. With an eye for comfort, the headphones have been manufactured with sophisticated engineering that allows for a great fit and light weight. 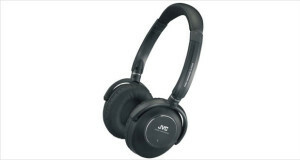 With moderate pricing that make the headphones affordable, JVC is definitely a one-stop option for anyone looking for durable products that amalgamate style with sensibility!